She is still a puppy, I will keep updating her photos as she grows! She is AKC Registered and her mom is my female named "Berit" and her dad is my male named "Tazer". Updated this on 5-12-15. Scarlet O'Hara She has been adopted out to Christina Cortez and Scarlet will be loved and cared for by Christina! She is AKC our red & white with 1 blue eye & 1 party eye. 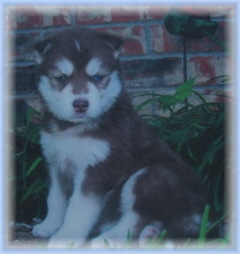 Her as a puppy. The first picture of Tiffany was taken on October 22nd of 2009 and the second picture of her in the grass was taken January 7th, 2012. She has put on a quite a bit of weight. She is looking really good in these pictures. I just love her coloring. She is AKC Registered with Championships on both her parents Pedigrees. Tiffany has Championships starting in her 3rd generation on her father's side and on her mom's side she has the Kristari's Championship bloodline. 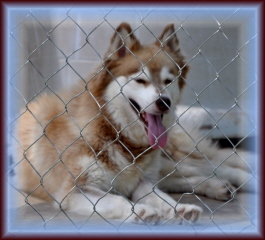 Tiffany came from Aruff Ranch http://www.aruff.com/ we are very proud to have as one of our Siberian Husky females. 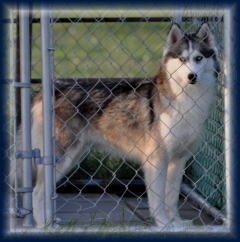 McHargue's "Snooky" Artic Ice She has been adopted out to James Miller and family. Snooky is 5 months old in this picture. Taken June 29th, 2010. She is AKC Registered with Championship bloodlines on both her parent Pedigrees. She has CH Troika bloodlines, CH Kristari's bloodlines, CH Des-Mar's bloodlines and CH Innisfree's bloodlines. I took these pictures of Snooky on April 9th, 2010. She is 12 weeks old in these pictures. She is getting so beautiful and she loves playing with Miracle Angel. Isabella Dances with Wolves "Izzy"
This photo was taken 3-16-11. "Izzy" is a stunning little girl with beautiful markings! Izzy is 9 weeks old in this photo. She is AKC Registered with Championship bloodlines on both of her parents Pedigrees. 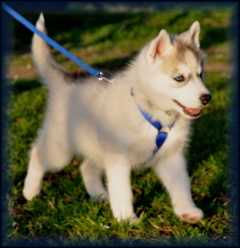 She has the CH Troika bloodlines, CH Des-Mar's bloodlines, CH Innisfree's bloodlines and CH Kristari's bloodlines. 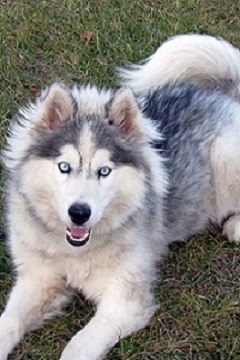 She is one gorgous Siberian Husky. 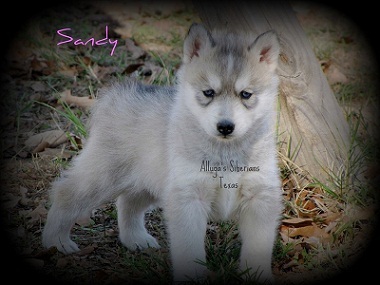 "Shasta" came from Alluga's Siberians and the breeder Kim Vazquez gave her the temperary name of Sandy. 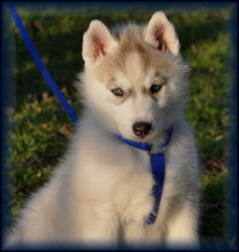 "Shasta" is a very beautiful little girl with AKC Troika, Kristari and Mikayla bloodlines! 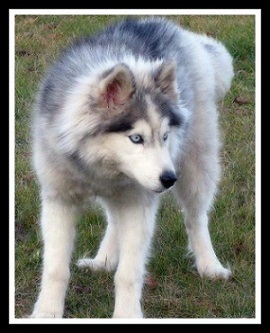 "Berit" is AKC Registered with a Championship Pedigree and she came from "Liberity Siberians"! The photo above was taken in April of 2013! McHargue's Lady "Bella" Is (Sold )to Missy Speaker and family. They will give "Bella" plenty of love and attention. Updated on 10-16-14! Nativestorm Sweet Indian Goddess "Echo". "She has been (Sold) to Alexa Schmidtlein and family" They will love and care for her as one of their family. Updated on 10-16-14. The above photo is of "Berit" who is in front and "Echo" who is pictured sideways in back! This photo was taken in April 2013!